We are coffee nuts. We love coffee. Tu and I were in Saigon and investigating our favorite subject – coffee. 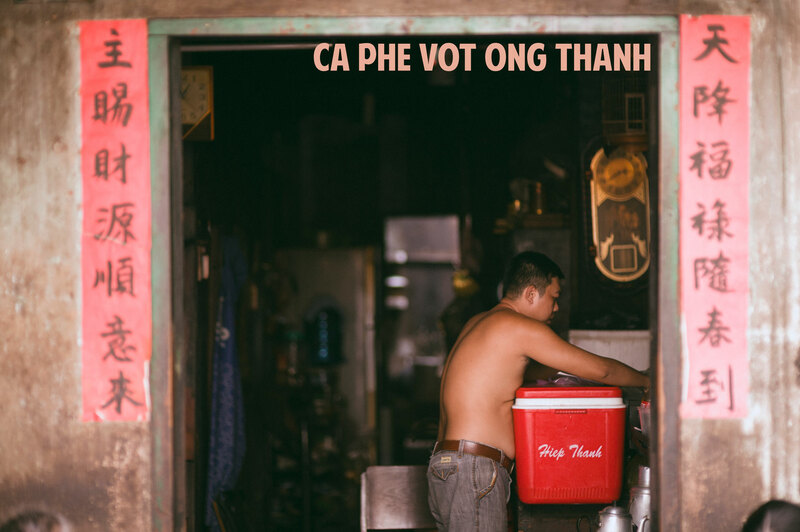 We were in search of the oldest and most traditional way of brewing Vietnamese coffee and we were quickly closing in on it. 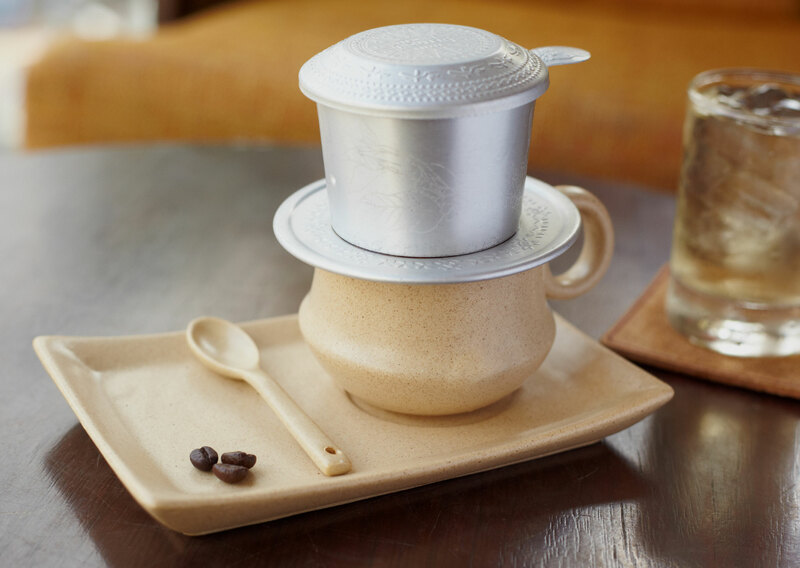 Now, if you know Vietnamese coffee, you know that it is brewed one single cup at a time using a filter called a “Phin”. Finely ground coffee beans are placed in the filter and then very hot water is poured over the beans a little at a time and gravity does the rest. 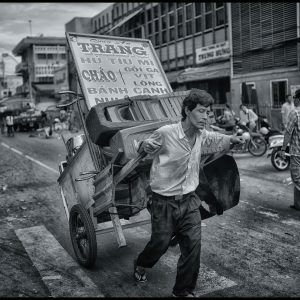 This method of brewing has been around for hundreds of years in Vietnam and it was introduced by the French. To balance out the very strong coffee it is poured over sweetened condensed milk and then served with ice. The french used the condensed milk because there was no refrigeration in Vietnam so regular milk spoiled. While this way of brewing coffee is slow. It is actually considered by many coffee professionals in the world to be the finest method because it allows the hot water to stay in contact with the beans for the longest amount of time which allows it to collect all of the chocolaty flavor of the coffee – as well as all of the caffeine! A single cup of very wonderful tasting coffee is brewed this way. But like I said. 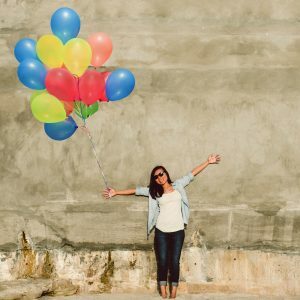 We were not necessarily searching for this method. We were looking for another way of coffee brewing that was done before even the french arrived. We were looking for Coffee brewed in Clay pots. This method was around before the french even introduced Vietnamese Coffee as we know it. 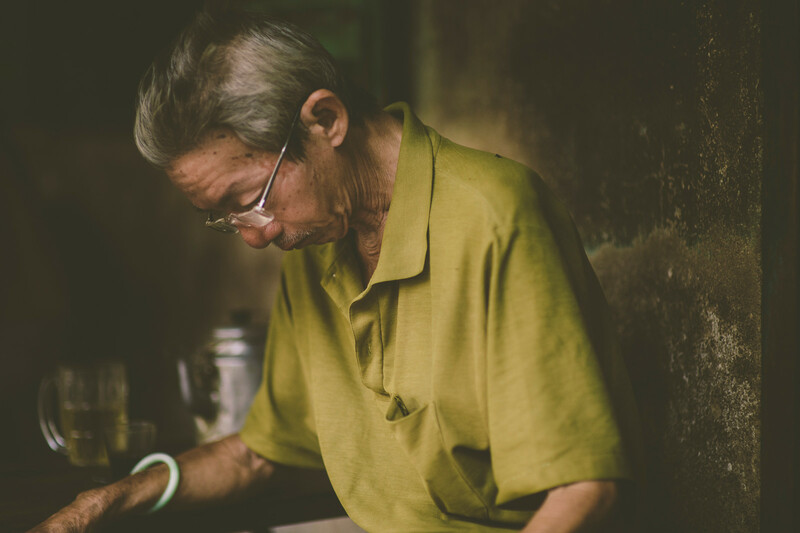 After searching some of the oldest and most poor neighborhoods in Saigon, we found a tiny little place with a single man outside. 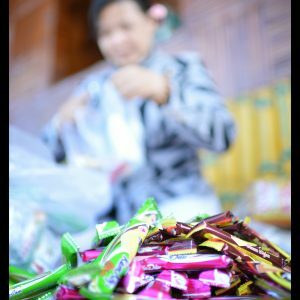 There was no sign but we had arrived at Ca Phe Vot Ong Thanh, located in one of the oldest parts of Saigon. The elderly man outside sat reading his paper and smoking a cigarette. 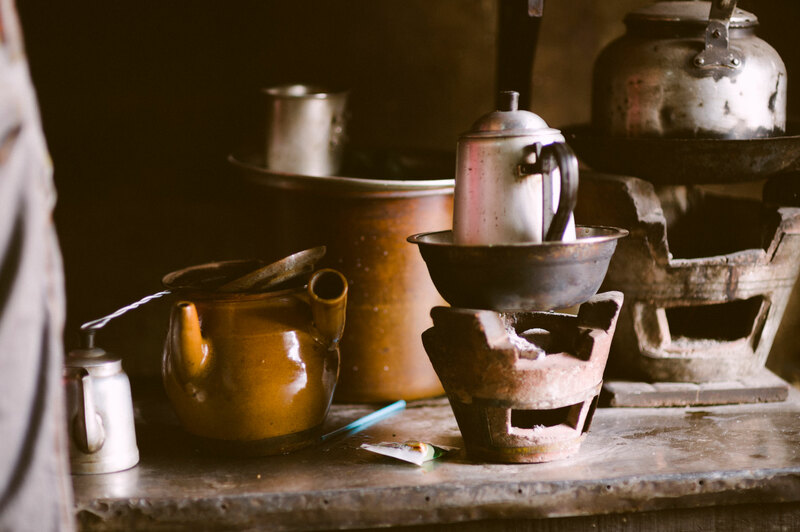 This small lone cafe was one of the last standing traditional Coffee in Clay Pot cafe’s left in all of Vietnam. 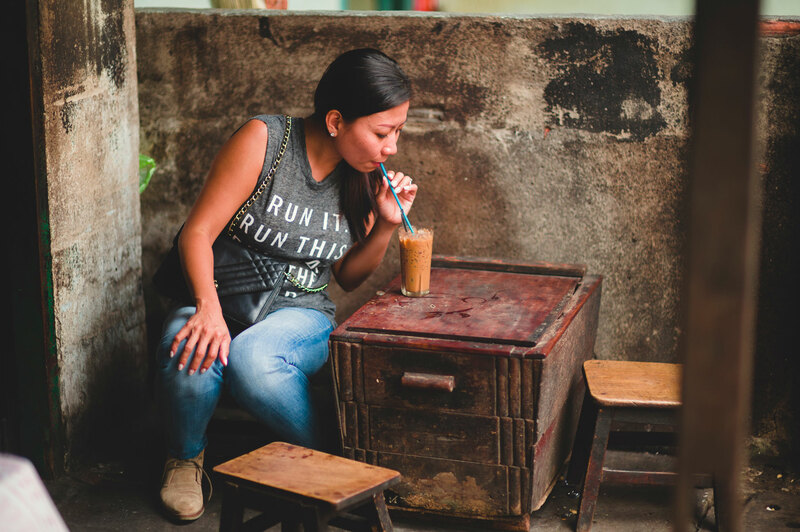 They serve coffee in the oldest and most traditional ways in Vietnam. It is a dying tradition but this place keeps it alive by brewing their coffee in small clay pots. Over time, the Clay pots begin to become seasoned with the coffee and they begin to create rich coffee flavors that are unlike any coffee you can experience. Imagine our disappointment however when we asked for some coffee and they told us they were closed! How could this be? 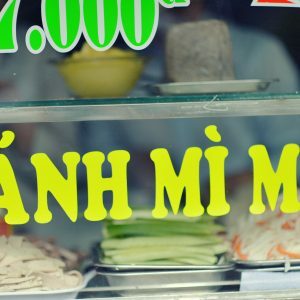 Ca Phe Vot Ong Thanh was closed! But, Tu is very convincing and kindly asked the man to brew her just one cup of coffee. He said ok. The coffee was cost 5 cents. To brew the coffee in the clay pot the coffee beans and hot water are boiled together in old clay pots. 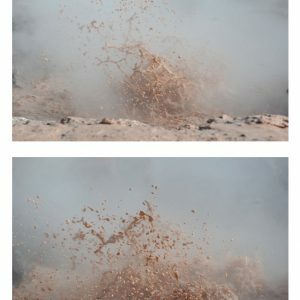 As the coffee boils in the clay pot over time it gets a very rich and powerful flavor. In this cafe, we were surprised that they used wood and charcoal to boil the water. They did not have stoves or water heaters or any new technology to help them. When the coffee is ready, it is poured into a glass through a cloth strainer. The cloth strainer removes the beans and lets the rich coffee fall into the glass. The coffee is strong, but it has a sweet chocolaty taste to it as well. That is because this method makes the coffee taste a little bit like a cafe mocha. After the brew is complete, coffee is poured through cloth strainers. Just as with the Phin brewing technique, the coffee is served over rich creamy condensed milk and then served over ice. 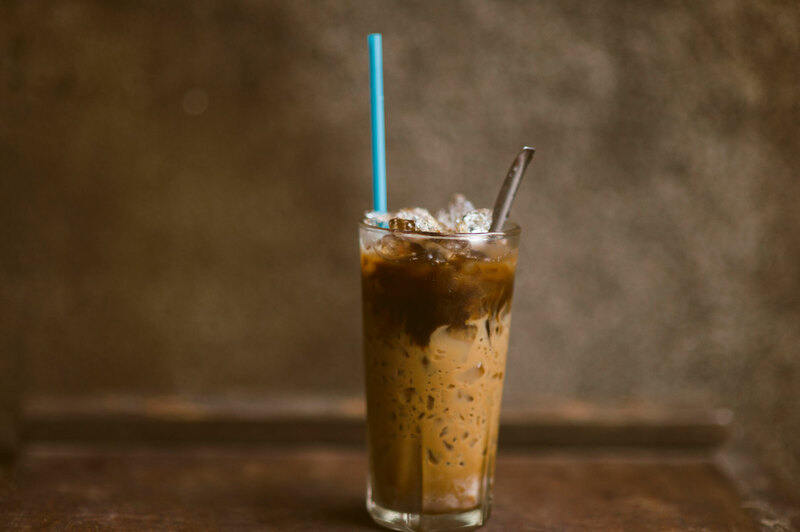 It produces a combination of bitter, sweet and cool that is the hallmark of Vietnamese Coffee. 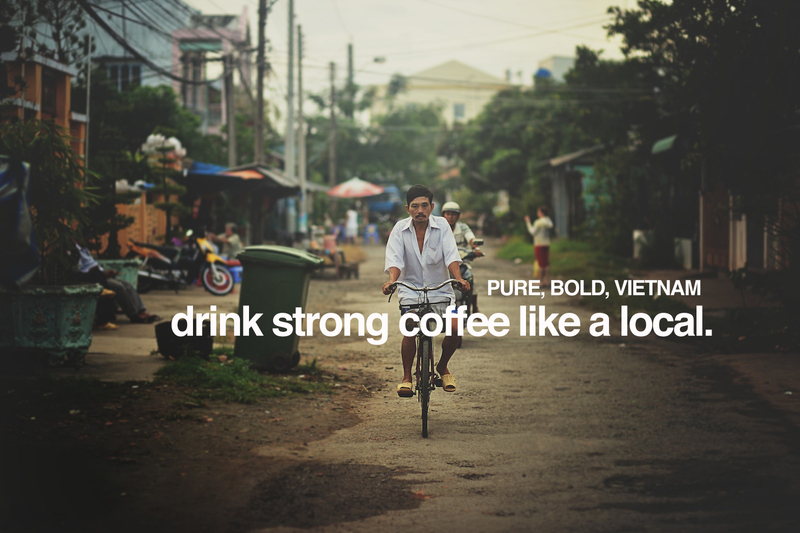 There is no other iced coffee in the world that can compare to Vietnamese Coffee. The rich and creamy coffee is a real treat. Tu sampled the coffee and said, “Wow, this is amazing”. The flavor was perfect and after all of that it was so cheap. Apparently during the morning rush hour, this coffee shop is packed, just like Starbucks and poor old man has to boil coffee like crazy just to keep up. Tu sat down on the rickety wooden chairs and the tiny table in the front of the cafe. This was the most rustic cafe in the city. 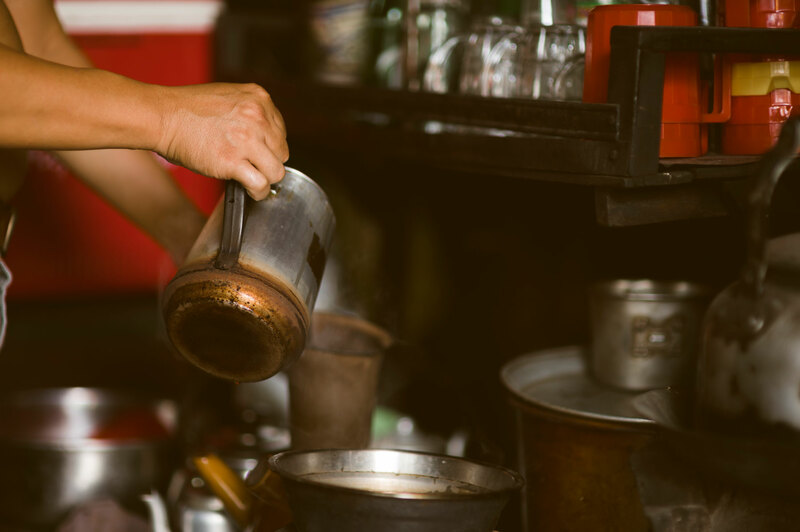 What could you expect from one of the oldest coffee houses in the whole country? The coffee was wonderful and the ambience was great. 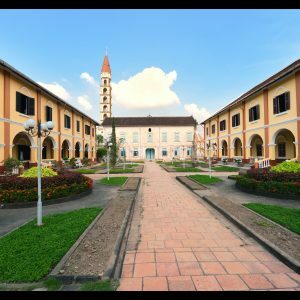 We had come and found what we were looking for – the oldest coffee brewing method in Vietnam and it was great. If you want to go to try the coffee here in Saigon you can find it at 313 Tan Phu oc, Quan 11 Ho Chi Minh City Vietnam. And tell them the Coffee Lady sent you – Tu McKenna.